L I V I A: [PAMPER FRIDAYS - WINDING DOWN WITH WILD ROSE BODY OIL + LAVENDER BATH MILK] FEAT. THE WELEDA SKIN/BODY CARE RANGE - FULL REVIEW! [PAMPER FRIDAYS - WINDING DOWN WITH WILD ROSE BODY OIL + LAVENDER BATH MILK] FEAT. THE WELEDA SKIN/BODY CARE RANGE - FULL REVIEW! The week has wrapped up quite quickly and what better way to soak in a relaxing bath milk, followed by pampering the skin with a luxurious body oil. There's literally about one month of winter to go, so hang in there because spring will be coming soon. However, let's talk about this cold and dry season that we're currently experiencing in Australia. It can totally affect our skin, from dry patches, skin tightness to itchiness...you're going to really want to use a product that can help to replenish the moisture and hydration back to your skin. So...have you all heard of body oils and bath milks before? Weleda provides an incredible of bath milks and body oils which are the perfect solution for Winter. Take Weleda's body oils in particular, they are formulated with selected plant oils meaning that they are full of vitamins, nutrients and unsaturated fatty acids that leaves skin looks healthy and beautiful. The body oils are all natural and look to nourish the skin by providing it with the ultimate protection from dry and flaky skin. So once you've finished up with a bath or shower, simply apply a few drops of the Body oil to the skin and what you'll find is that it's quickly absorbed onto the skin. 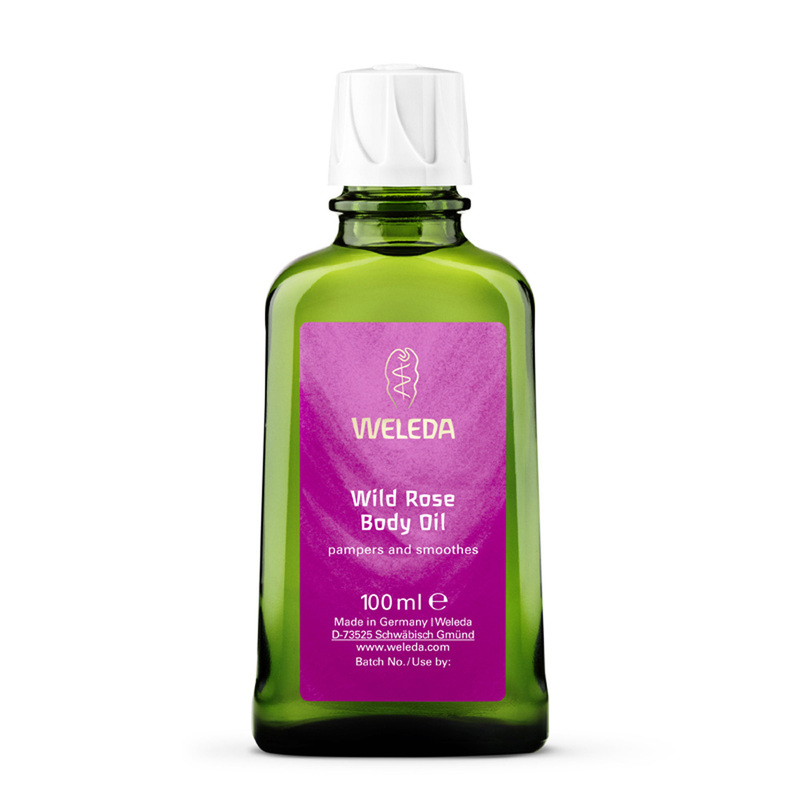 So what you will find below is my take on two of Weleda's skincare products being their popular Lavender Relaxing Bath Milk and the Wild Rose Body oil which I've recently tried out. I hope you enjoy the read, so sit back and relax! Also for more information, you can look to check out Weleda's official website where you can look to purchase the product over there. First things first..I really love their durable glass bottles. It makes the product seem luxury and keeps the product fresh. And when we hear of a Lavender Relaxing Bath Milk, we know that it's going to ensure that we have a good nights sleep which is true because the product actually helps you to fall asleep easier and promotes a peaceful night's sleep. Simply, soak yourself in the bath with approximately 2-3 capfuls into running water for at no longer than 20 minutes. It's definitely a helpful product if you happen to suffer from sleep at night or are feeling quite stressed. The lavender bath milk really is a pleasant product to use in the bath and I actually try to soak myself in this bath milk on a weekly basis. 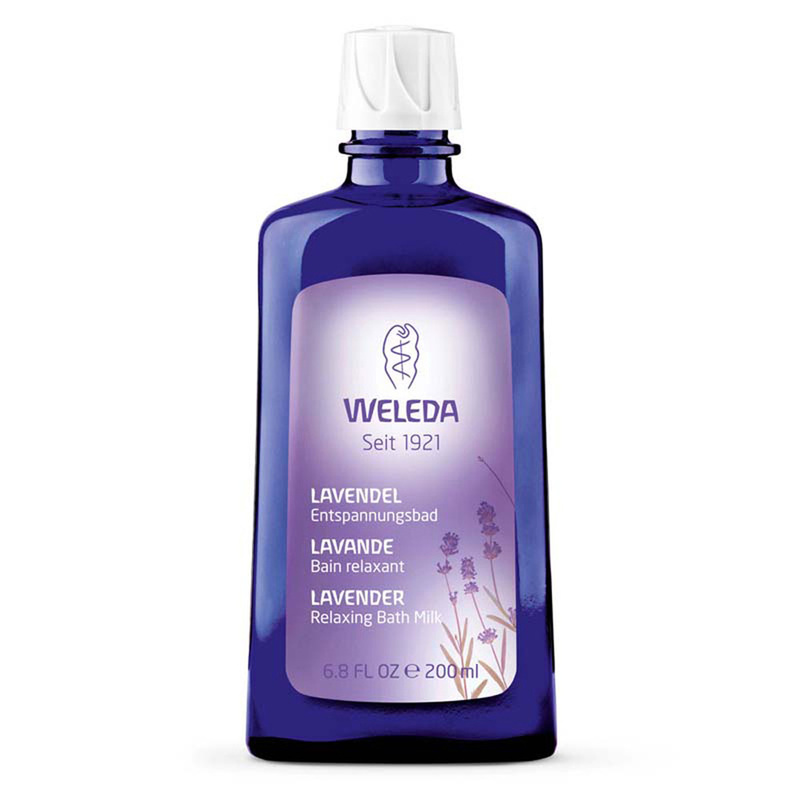 You'll be pleased to know that Lavender Bath Milk by Weleda are made from natural ingredients are are free from foaming detergents. There's no irritation or redness that I experienced from using this product so I am actually quite impressed with the results so far. The milks are usually well tolerated by the skin and also free from any synthetic emulsifiers that can lead to skin dryness. (So essentially it's good for the skin and will not cause further dryness). Most importantly, the Relaxing Bath Milk calms and relaxes your body which is essential and I highly recommend this product if you're curious to try it out for yourself. As previously discussed, I mentioned that the Weleda Body oils are made from pure plant oils which means that knowing the ingredients of the body oil, it's definitely safe and gentle to use on the skin. The body oil is free of synthetic preservatives, fragrances, colourants and raw materials derived from mineral oils. How the body oil works is that it looks to pamper and smooth your skin should it be feeling rough, dry and even itchy. It feels luxurious and sheer plus it is ideal for either the face or body (not just the body). This body oil is made with rich-caring unsaturated fatty acids which look to stimulate cell regeneration and revitalisation of the skin. Looking after your skin has never been so easy! For me personally, I always try to apply a few drops of the body oil right onto damp skin (so that's after having a bath or showering). The Sweet Almond Oil also looks to revitalise the skin's natural elasticity - leaving it also feeling supple and radiant. As for the fragrance, you really get an aroma of wild rose oil which provides a soothing experience which I like because it's more on the floral scented scale. I'm trying to apply the Wild Rose body oil on every night only because that I find that it gives effective results of having smoother and silkier skin. Have you tried any of Weleda products as mentioned above?